At home on a Friday night, being lazy…. A sudden craving hits me. I want cake! 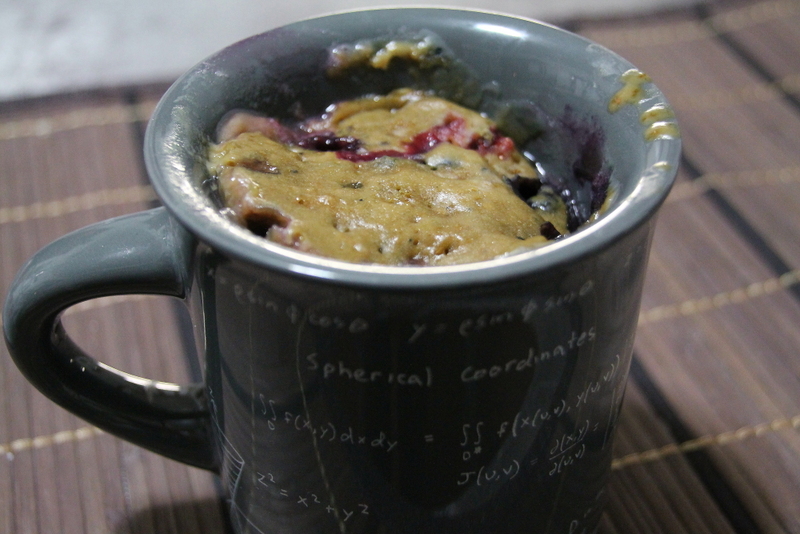 Luckily I found a really easy recipe on Pinterest for crazy cake in a mug. So easy and so yummy. No eggs or dairy! Start with a large microwaveable mug. 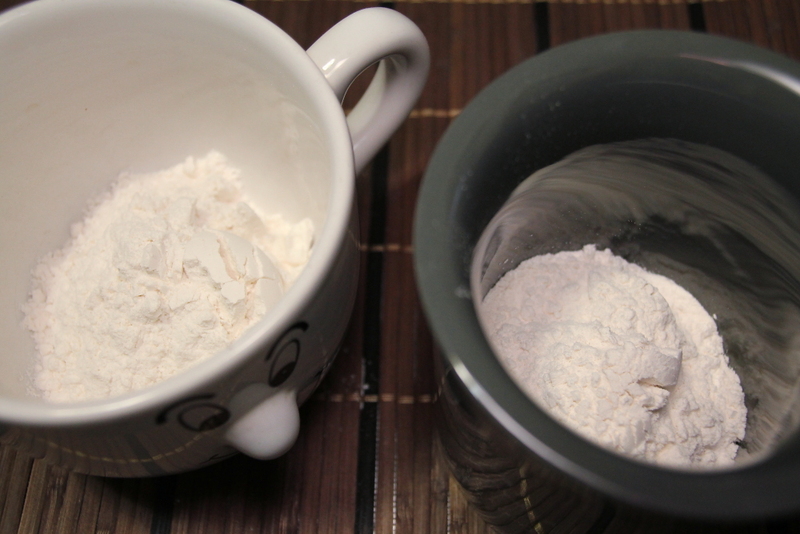 Put 5 tbsp of flour into your mug. 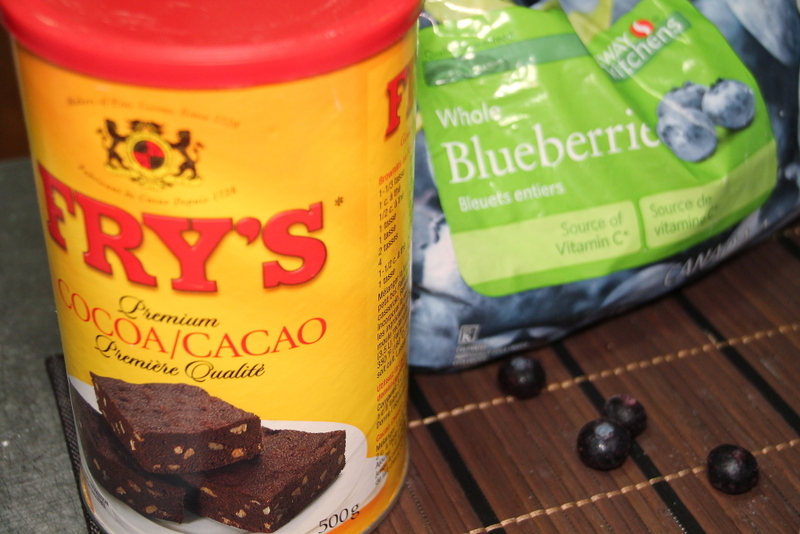 I decided to make two types: blueberry and chocolate. 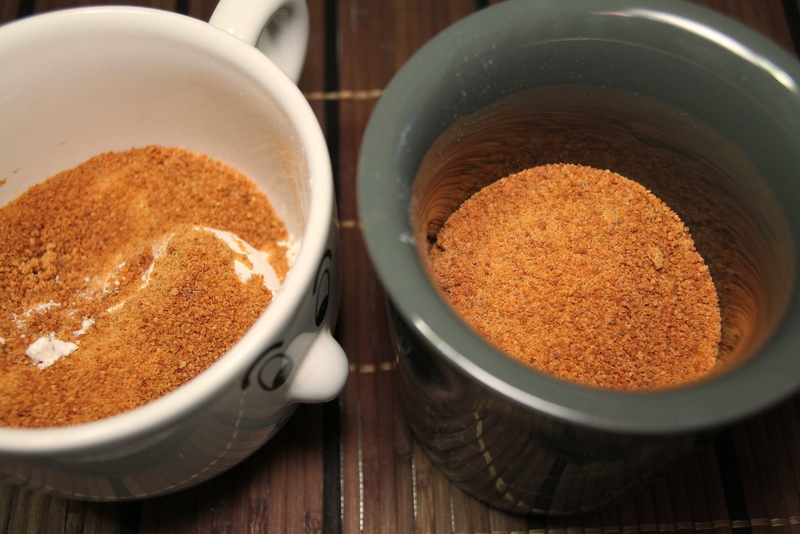 Next put 4 tbsp of coconut sugar into the mug and mix well. Make sure there are no lumps. 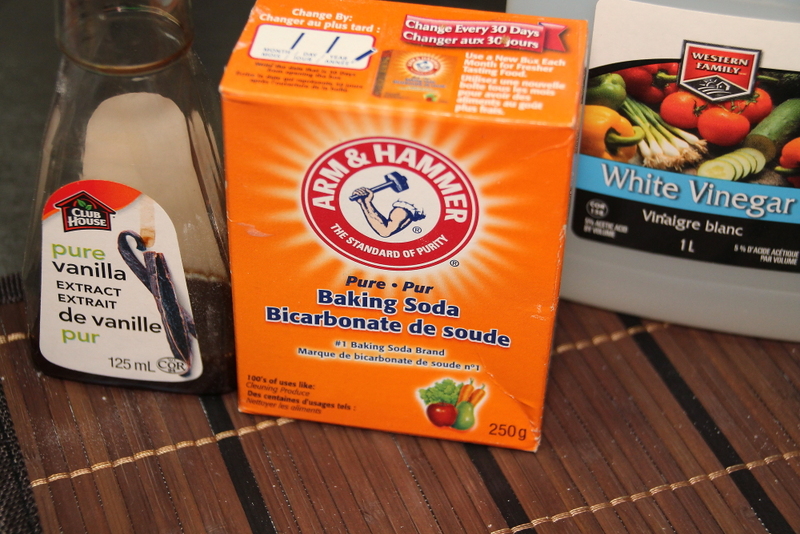 Add baking soda, vanilla, oil and white vinegar. 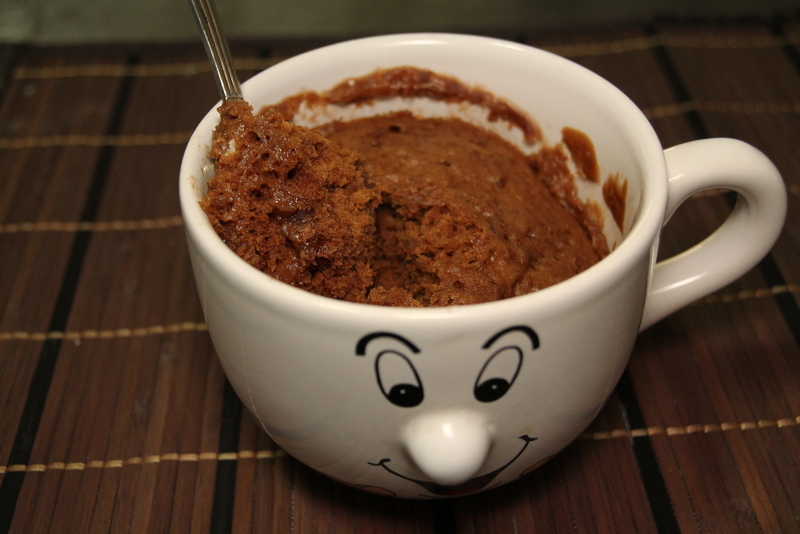 If you want to a chocolate cake add cocoa powder. If you want blueberry cake, add frozen blueberries. This recipe is exactly like making crazy cake. 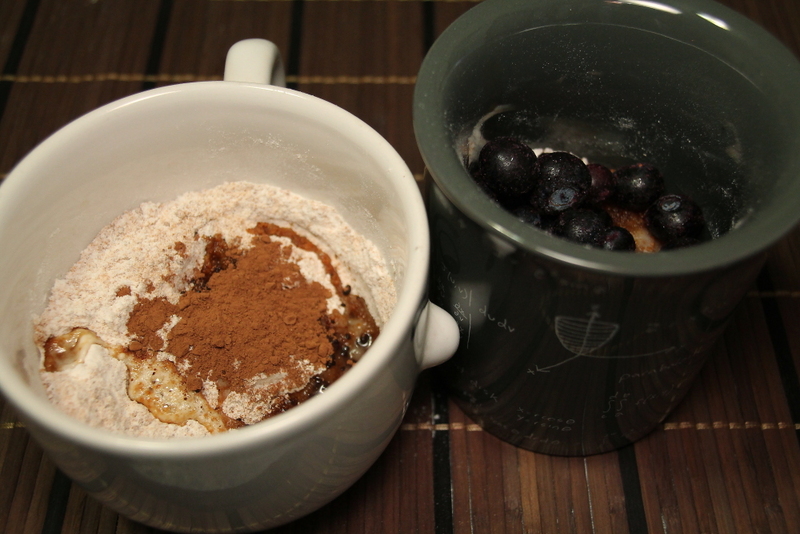 Just add all the ingredients together into a cup, add water and mix well. Microwave for about 2 minutes. Then ta dah! You get fluffy soft cake! Yum Yum Yum. Time to eat some cake and watch some TV. In a large mug mix flour and sugar together. Add baking soda, white vinegar, vanilla, and oil. 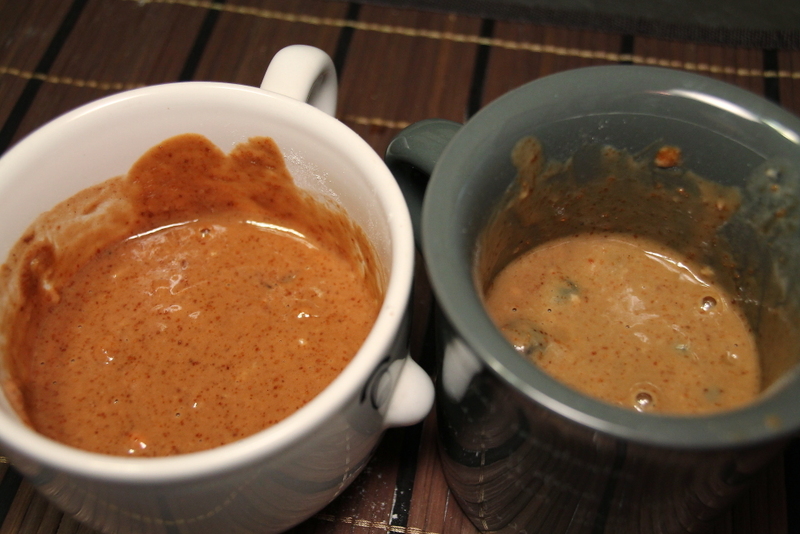 For the chocolate version use add cocoa powder. For the blueberry version add blueberries. Add water and mix well. Microwave for about 2 minutes. Check at 1 minute and 30 seconds. Enjoy with ice cream or whipping cream! Nom!